Scientists say that aging is not a natural law — therefore, we can challenge it. Aging — a Law or a Suggestion? The inevitability of aging may be no more than yet another biological theory that scientific advances will retire in the near future. Some scientists today say that longevity is a societal concept that we may no longer need to uphold as a static law of nature, but instead, as one that can be rewritten to our benefit. Researchers from fields spanning genetics to artificial intelligence (AI) are working towards a future where we will have to stop using a “midlife crisis” to justify our ill-advised decisions (but is it really ever the wrong time to buy a Porsche?). While there have been innumerable theoretical ideas and initiatives for dodging the Grim Reaper, many actual strategies that are being developed today fall into one of two camps: biomedical or technological. To win the biological battle against death, we must start by understanding the enemy. Aging is a processes that begins on a cellular level. As our cells divide, their DNA and functionality slowly break down, leading to greater susceptibility to damage and disease. For many years, scientists had hoped that telomeres might be the key to halting aging, but these “caps” that protect our DNA have proven to be more complex than initially thought. When biologists discovered that our telomeres wear away as we age, they theorized that lengthening these strands of protective DNA could also elongate our lives — perhaps indefinitely. But researchers have since found that multiple processes in cells work to tightly regulate telomere lengths because telomeres that are too long can actually have negative consequences, like cancer. Many labs around the world are studying the molecular mechanisms that lengthen and trim telomeres in the cell in order to find out whether they can be modified to keep telomeres at the Goldilocks length — not too long or too short. Concurrently, technology for genetic editing has advanced by leaps and bounds. The revolutionary process for editing DNA, “CRISPR/Cas9,” has allowed scientists to make targeted genetic changes in living mammalian cells, and has even worked to save a little girl from cancer. The tool has so many applications, researchers have coined the phrase “CRISPR it!” (who says scientists are out of touch?). Genetic engineering is only one of the many medical advances that are being used to prolong our lives. However, some see the human body as a vessel not to be fixed, but rather, replaced. Technology has become fully integrated with modern life, becoming, in effect, an extension of its users. And as virtual brain modeling and AI design have advanced, many have begged the question, at what point does virtual reality become… reality? We can design servers — and even mechanical bodies — that will last far longer than our current bodies will. And consider that these robotic bodies could endure a much wider range of conditions than our fleshly ones can. Just in terms of space travel, designing a ship that would not need food, water, or atmosphere would be much more efficient. Also, it wouldn’t matter how long the trip to another world would take — we wouldn’t even need hibernation chambers! 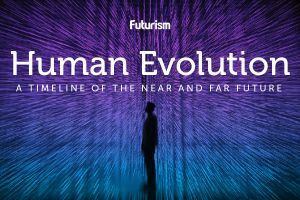 While some reject the idea of preserving humanity outside of the actual human body, leaders like Elon Musk are taking steps towards the potential merger of man and machine. Musk has indicated that in the near future he will be unveiling a neural lace, a device that can enhance and grow with your brain. Once computers can seamlessly interact with our minds, it’s conceivable that they may be able to store our minds as well. Visionaries like Musk, along with other companies chasing immortality, are forcing us to reconsider our own mortality: what would life look like divorced from death? What price are we willing to pay for another 100 years of life? Another 1,000? And if that’s the case, then what does it mean to be human? If technology keeps advancing at its present rate, we may have to figure out our answers to these questions sooner rather than later.